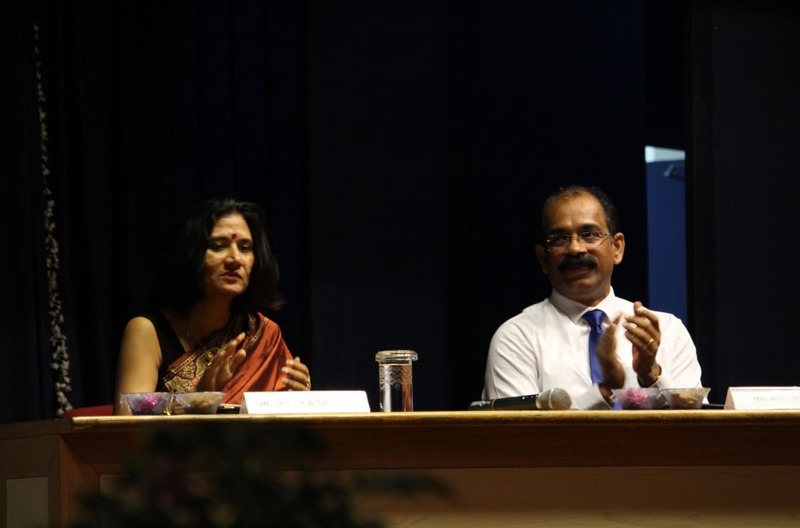 Marketing conclave 2018 was organized at Symbiosis Center for Management Studies, Pune on 13th July 2018. It got great response from students and academicians. The guest speaker for the event was Mr. Biju Dominic who is a CEO and Co-founder of Final Mile Consulting, a Chicago and Mumbai based consulting firm. He was felicitated by our director Dr. Adya Sharma. Mr. Biju talked about the paradigm shift in Consumer Behaviour. He explained beautifully the transition that is required in advertising industry from traditional consumer behavioural approach to behavioural architecture.